Brand: 4sport. Code UNSPSC: 42241701. Code UMDNS: 17873. 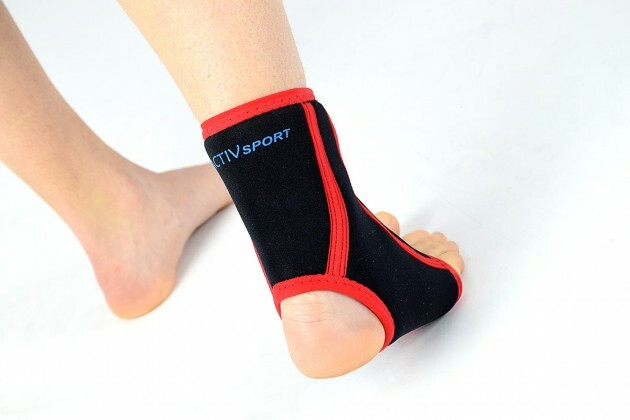 Ankle joint support AS-SS belongs to the 4SPORT group and is made of innovative, providing compression and skin-friendly fabric called CottonPren. The fabric is made of neoprene foam, laminated with polyester and internal elastic cotton terry. 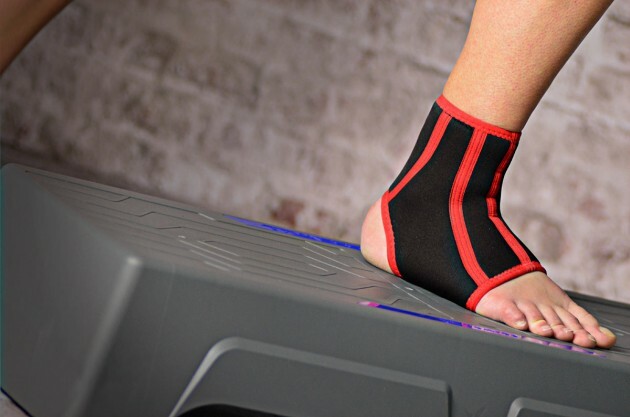 Stabilization and warming up effect for the ankle joint, reduction of pain, improvement of walking efficiency and quality. The material of the support applies elastic pressure during movement of the foot which helps in reduction of post-injury swelling. Enables faster come back to training. 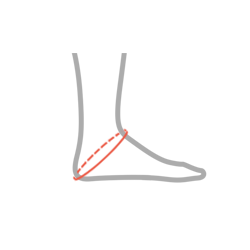 It is useful in professional training as well as in recreation. 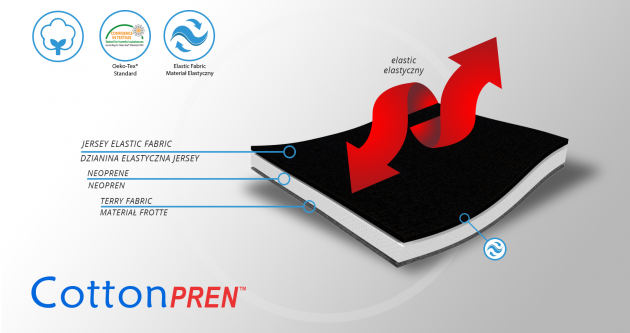 Detainment of warmth, preventing joint overcooling and overheating, Comfort of use – the support contains no thick fibres which can cause abrasions if pressed firmly on patient’s skin. Simplicity of use- simple way to put the support on and take it off by the patient. The design of the support takes into account specific body shape and provides maximum comfort of use and no movement limitation for both women and men.